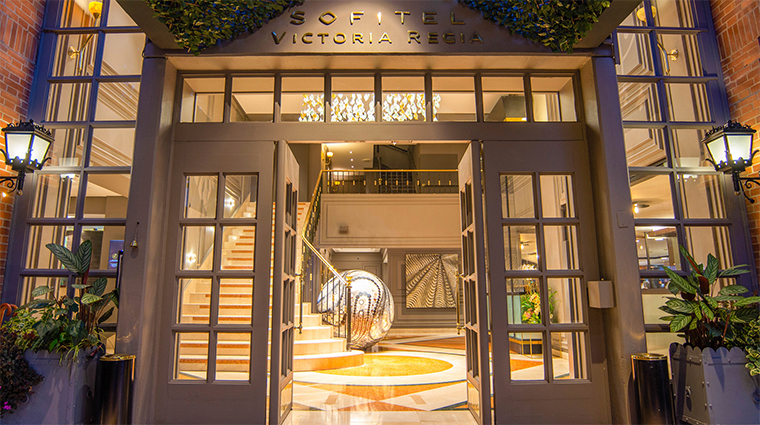 Sofitel Bogotá Victoria Regia is every bit as luminous and fresh as the Colombian water lily it was named after. Contemporary, comfortable and well-connected, the chic accommodations were designed by renowned architect Miguel Soto and feature luxurious touches from fabulous French brands, such as Lavin or Hermes. This is an international hotel with a global mindset. 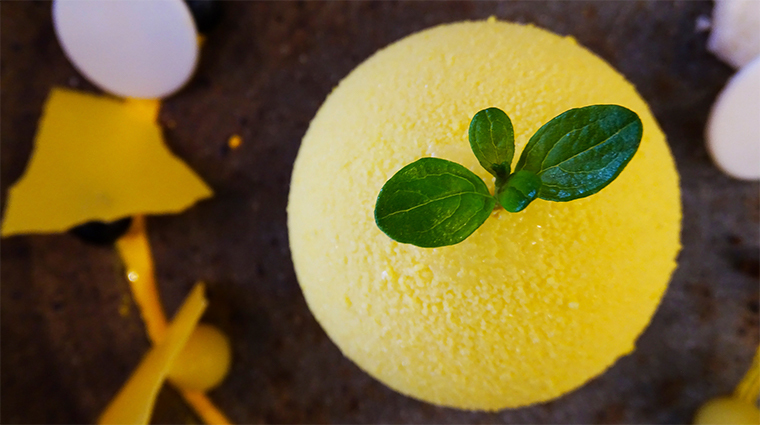 The in-house restaurant, Basilic, serves up traditional French bistro cuisine using seasonal Columbian products. The hotel reception staff greets every guest in French. And that’s on top of the subtle creative Colombian touches around the property, most notably the exotic flower arrangements and the pre-Colombian artifacts adorning the bedroom walls. Smart, stylish and forward-thinking, this luxury hotel fits in perfectly with the well-heeled Zona T district, the city’s financial hub. 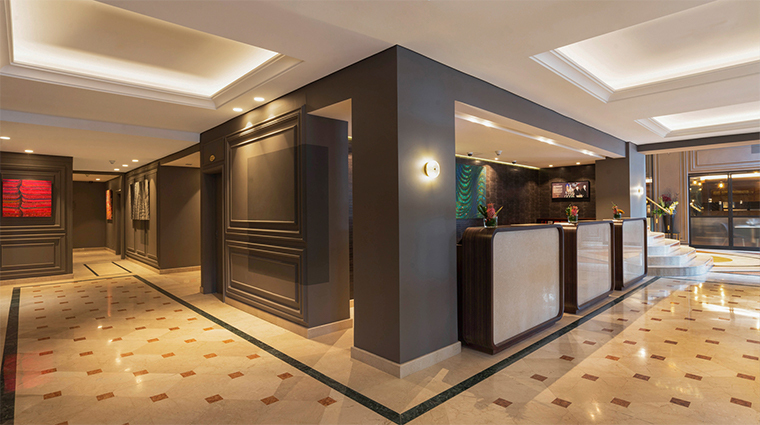 Sofitel Bogotá Victoria Regia is constantly evolving. With clever refits and frequent modern art exhibitions, it knows how to stay relevant in the increasingly competitive hotel market. The weekly cheese and jazz nights, albeit not very Colombian, are a wonderful way to start off an evening in the city. The concierge team has an international network of connections. See how vast the group’s Rolodex is by asking for just about anything you can imagine. 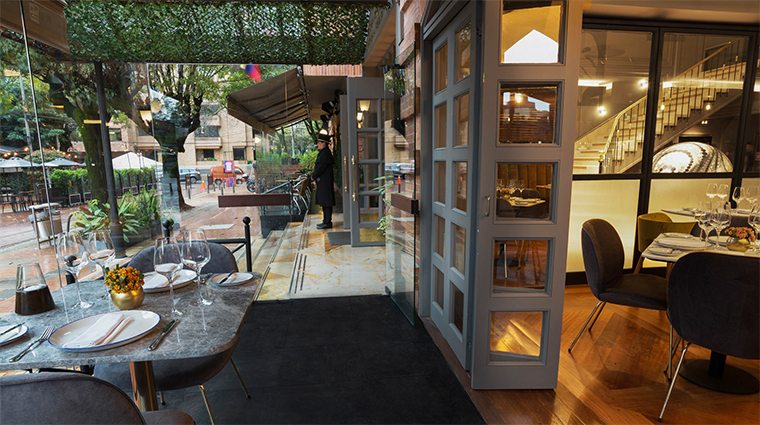 The Bogotá hotel features its own jardin del chef (chef's garden) from which various herbs and vegetables are harvested daily for use in the property's restaurants. 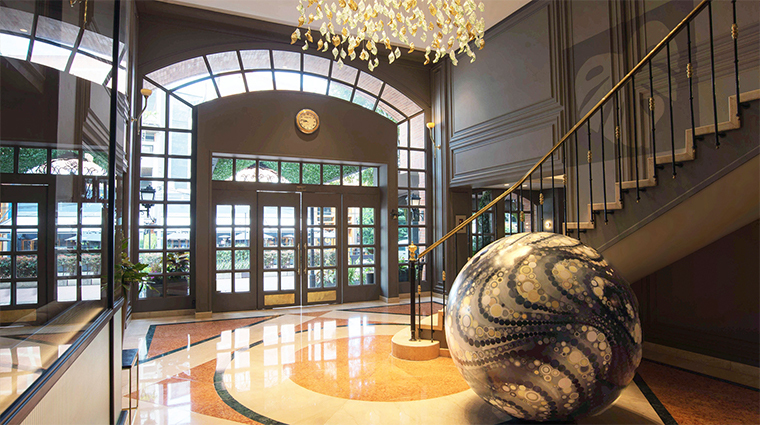 Bogotá’s Sofitel might lack the historical star power of its Cartagena counterpart, but it can more than hold its own when it comes to impeccable service and creature comforts, particularly for business travelers. Renowned Colombian architect Miguel Soto is the one responsible for marrying modern French style (polished marble, velvet furnishings) with traditional native elements (daily replenished local flowers, vibrant wall colors) so well at the property. Though the suites certainly present an upgrade in size (538 square feet compared to rooms that hover around 300 square feet), they stand out because of the amenities (two flat-screen TVs, balcony) packed inside of them. Sumptuous Sofitel MyBed mattresses, exclusive to the luxury hotel, ensure a sensational night's sleep. The Colombian art pieces hanging in the rooms are available to purchase. 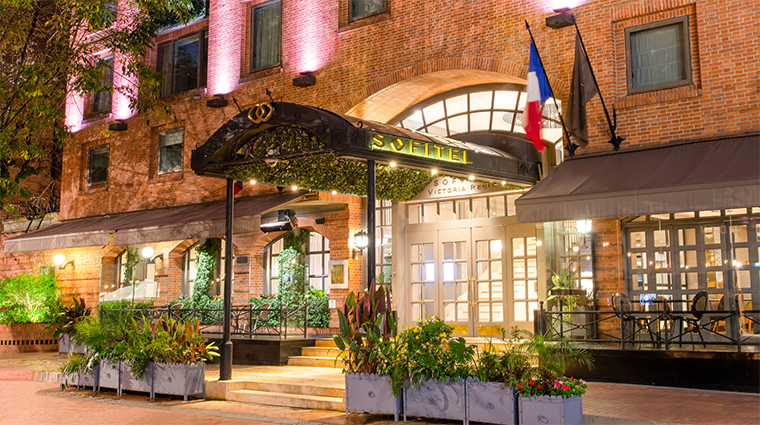 Unlike many Bogotá hotels, the Sofitel has both heating and air conditioning fitted in all of its rooms, which is ideal for the city’s ever-changing temperatures. Yoga mats are provided in all junior suites. Bogotá’s colonial district, La Candelaria, is home to Bogota’s best museums. The cultural hot spot is a mere 20-minute taxi ride from your room. 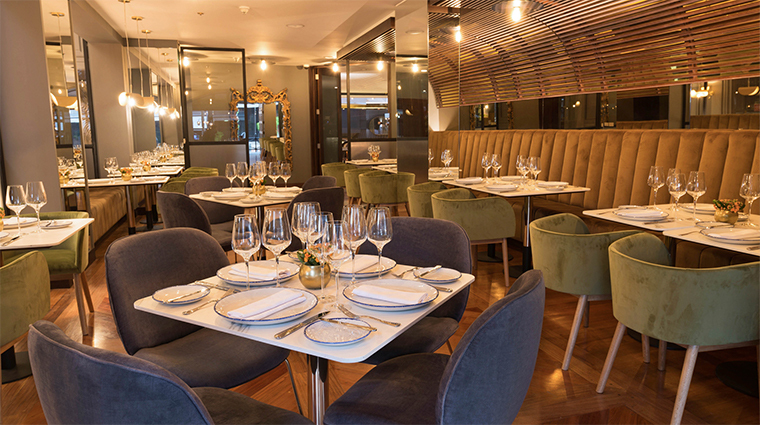 While the onsite Basilic is a tasty option for French fare, there is an abundance of fabulous food options near your doorstep, including Primi, one of the city’s renowned Italian eateries. The stunning library collection on the ground floor means you don’t have to leave the hotel to get your hands on a Gabriel García Márquez classic.